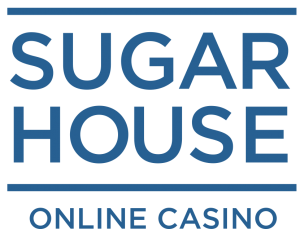 SugarHouse Sportsbook moved its NJ sports betting site to Monmouth’s license because of NBA betting restrictions imposed on its partner, Golden Nugget. PokerStars’ New Loyalty Rewards Program Launches; Coming To NJ Soon? 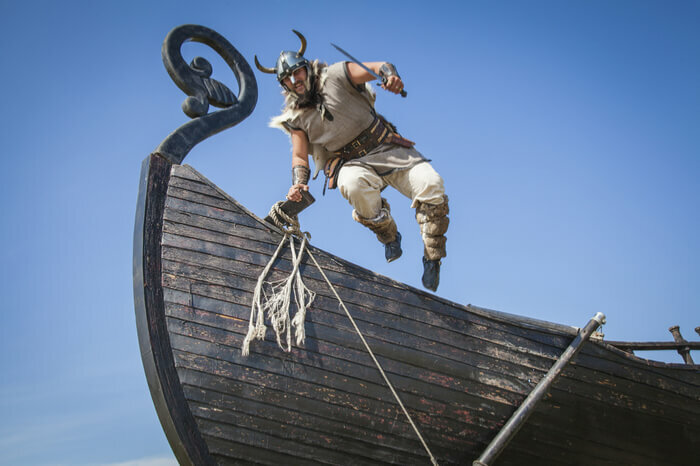 Last week, PokerStars unveiled its new rewards program in Denmark. The plan is to launch Stars Rewards in other markets throughout the summer. Bits of information about the new program have been leaking out for months, but with the launch in Denmark the specifics of Stars Rewards have finally been revealed. Presumably, some form of the program will make its way to the New Jersey online gambling market. But what does it look like for now? PokerStars’ new program represents a dynamic shift in how it rewards its customers. Players will still earn StarsCoin, which can be redeemed for items in PokerStars’ store, but gone are the tiered levels the program used to offer. Under the new program, players will see a Progress Bar, as they try to accumulate Rewards Points and progress toward unlocking a personalized rewards chest with a prize of random value. The tiered rewards program with progressive rewards has been scrapped. Rewards are now personalized to the player. The personalization extends to the prizes and the level of rewards. In addition to personalization, two distinct random elements have been introduced to the rewards program. The program rewards volume and amount wagered, but it also takes into account activity, games played, and net deposits to determine the value of the reward players are pursuing, as well as the number of Rewards Points they’ll need to accumulate to attain them. Casino: Points are earned at the point of wagering. Click here for a breakdown of earn rates by game type, as well as how to earn redemption points playing casino games (to clear bonuses). Sports: Points are earned when a bet is placed. For multiple/accumulator bets, players earn 5.5 points for every $1 wagered. For singles bets, players earn two points for every $1 wagered, but will earn increasingly more points as the wagering odds increase (more details here). *Poker players do not earn reward points at pot-limit and no-limit tables with blinds of $5/$10 or higher, 8-game tables with stakes of $20-$40 or higher, or other limit games with stakes of $20-$40 or higher. Stars Rewards possesses two aspects of personalization to go along with two randomization components. PokerStars selects one of six chests (more on chest prizes in a moment) based on the player’s gaming profile. The player sees how many Rewards Points are needed to unlock the chest. For example, a new player will be tasked with earning enough Rewards Points to unlock a low-level chest, with a base value $0.06 up to $100. On the other hand, a high-volume player will likely be working toward unlocking a chest with a much higher base value of $10.70 to $1,000. 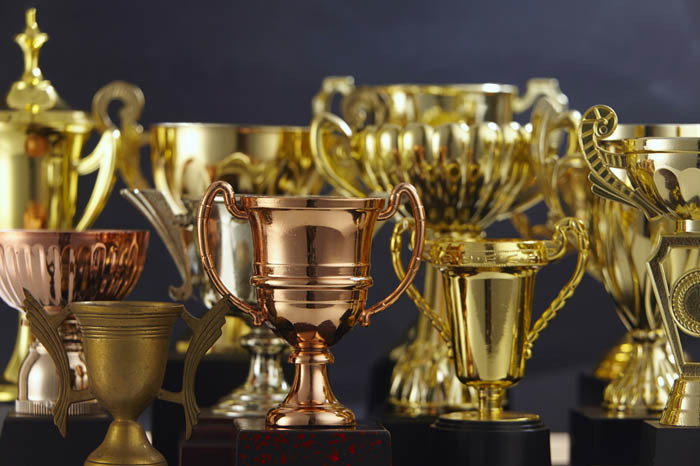 The goal of the Stars Rewards program appears to be consistent achievement. PokerStars wants all players to earn chests during each and every session. Here’s an important note: Progress bars reset after three months of inactivity, and StarsCoin balances are forfeited after six months of inactivity. The second layer of the personalization process is the type of rewards players find in their chests. The chests are progressively more valuable, as seen in the chart below. Important: Chests expire three months after they’re acquired if they’re not opened. Additionally, all chests, regardless of value, have a second layer of randomness, as any chest could contain a Top Prize, which is more or less a jackpot reward. There are two parts of the program of which I’m not overly fond. The first is the expiration of StarsCoin and chests. If PokerStars’ goal is to bring back the casual player, StarsCoin should never expire. I know plenty of casual poker players who might take six months or more off and then play consistently for several weeks. Losing their StarsCoin balances due to inactivity is not the way to appeal to these players. Punishment is never the answer, and it will likely keep these players away from the tables, rather than bring them back sooner. Placing an expiration date on chests is even more egregious in my opinion. A much better way to handle unopened chests would be to automatically open them for the player after the three-month period, or simply give the unopened chest the lowest value prize available and add it to the player’s account. Again, punishment is not the answer. I’m not a fan of bifurcated rewards. Whether it’s the old VPPs and FPPs or the new Rewards Points and StarsCoin, I’d much rather see a single type of reward currency. 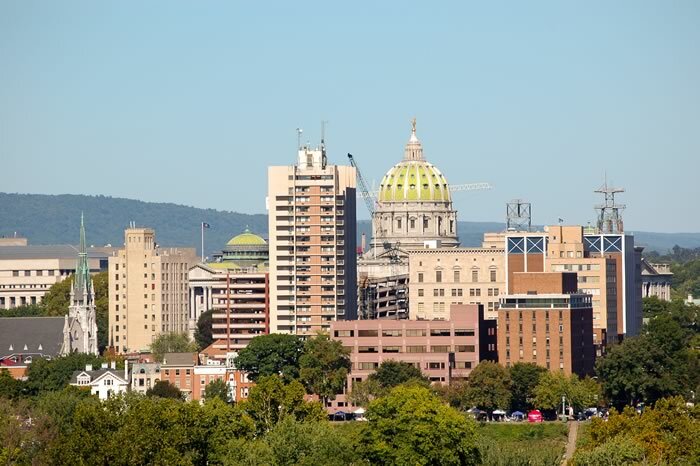 A bill legalizing online gambling and linked to the state’s budget was passed by the Pennsylvania House and is now in the hands of the Senate. The watch is officially on for Pennsylvania to join New Jersey with legal online poker and gambling. The Pennsylvania House of Representatives recently voted to amend a bill that legalized daily fantasy sports to include other gaming reforms — including the legalization of online gambling. One that happened, all eyes were on the House Appropriations Committee. Because of the newly added amendments, the bill was sent back to Appropriations for the committee’s approval. Day after day, the committee failed to vote on HB 2150, despite it being listed on its daily agenda. On Tuesday morning’s agenda, the bill was nowhere to be found, and for good reason. The Appropriations Committee had passed the bill late Monday night, sending it back to the House floor for consideration. And without any fanfare, the House passed the bill 114-85 on Tuesday afternoon. The bill’s next stop will be the Pennsylvania Senate. How it will be received in the Senate is unclear, but one legislative source told OPR their understanding is that HB 2150 is an important part of the state budget. Many of the same operators in the NJ online gambling market — like Caesars and Harrah’s — are expected to operate in PA, if it is legalized. HB 2150 is much more than a bill legalizing online gambling and daily fantasy sports. HB 2150 is a comprehensive gaming reform bill that is expected to generate more than $200 million in revenue in revenue next year (mainly through one-time licensing fees and payments), and even more down the road. The legalization of online gambling. The legalization of daily fantasy sports. Allows Category 1 racinos to add slot machines at up to four select off-track betting parlors for a one-time fee. Addition of slot machines (through a partner land-based casino) behind secured areas of international airports. Allows Category 3 resort casinos to increase the maximum number of slot machines and table games on premises for a one-time fee. 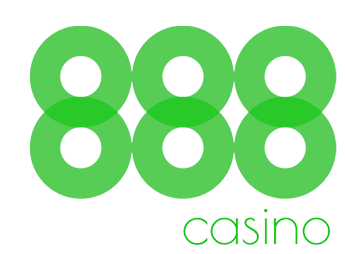 Allows Category 3 resort casinos to eliminate the need for membership fees for a one-time fee. What HB 2150 doesn’t contain is as important as what it does. The omnibus amendment added to the bill wasn’t the only gaming reform package the House considered. The House had several heated debates centered around a single issue: the possible legalization of video gaming terminals at the state’s bars, clubs and truck stops. When the dust settled (it took four separate votes on two different days), it was the gambling reform package without VGTs, the version the Senate has voiced little opposition to, that passed. This was a critical development, as VGTs were seen as the proverbial poison pill in the Senate. VGTs may have been the No. 1 issue that would have stalled online gambling, but multiple sources indicate that some members of the Pennsylvania Senate still have revenue and consumer protection concerns. And as is always the case, there will be lawmakers who harbor anti-gambling sentiments. Last year the Senate considered online gambling legalization, but the discussion was derailed when some lawmakers pushed for an untenable tax rate of 54 percent. This flawed tax rate wasn’t being pushed to raise additional revenue, but more as a misguided attempt to protect the state’s land-based casinos. The House gambling bill the Senate will be considering calls for a tax rate of 14 percent, with an additional 2 percent going to local coffers. This tax rate disparity has been less of an issue in 2016, but this debate was never seen to a conclusion last year. It could make a return appearance if and when HB 2150 is brought up in the Senate. If the bill is amended in the Senate, it would be sent back to the House, and the process would repeat itself until the two chambers pass the same version of the bill. This could become problematic, as the Pennsylvania House of Representatives is scheduled to adjourn on June 30. Will the governor sign it? Governor Tom Wolf has said he is amenable to online gambling and the other reforms contained in HB 2150, but he qualified his support by saying it has to be part of a larger revenue package. 2/2 … such discussion "must be part of a larger revenue plan to help solve the state’s deficit." The bottom line is this: HB 2150 is an integral part of the proposed budget. The revenue these gaming reforms will generate cannot be tossed aside and replaced. If the gaming reforms aren’t part of the budget, Pennsylvania will likely be staring down a budget impasse that will last several months. Last year’s budget (due on June 30, 2015) wasn’t passed until the spring of 2016, causing a lot of finger pointing in the direction of Harrisburg by Pennsylvanians. It’s unlikely the state’s elected officials want to repeat last year’s historic budget stalemate in an election year. Inspired Gaming entered into an agreement with the Golden Nugget in Atlantic City that will see the company bring virtual reality sports to New Jersey. Inspired Gaming has entered into an agreement with the Golden Nugget in Atlantic City that will see the company bring virtual reality sports to the New Jersey online gambling market. Golden Nugget will integrate Inspired Gaming’s virtual sports products through one of its existing vendors in the market, Spin Games. Inspired and Spin Games reached an agreement last month, but without an operator to provide the platform to bring virtual sports to the consumer, the games have simply sat on the shelf. This week’s agreement with Golden Nugget in Atlantic City changes that. It’s not entirely clear how Golden Nugget will roll out virtual sports in the New Jersey online gaming market, but with the current sports betting void in the United States, and the tumult surrounding the daily fantasy sports industry, this product has the capability of taking off. First, virtual sports will be an altogether novel product in the U.S. market. Second, virtual sports are graphically amazing compared to current online gaming options. If the response is good, it could further bolster Golden Nugget’s already strong online casino platform. It could give Golden Nugget a leg up on its competitors that lack such an innovative product in their online casino catalogs. Although, based on the comments of Steve Rogers, Inspired Gaming’s CCO of Digital Games, the agreement with Golden Nugget is only the first step. 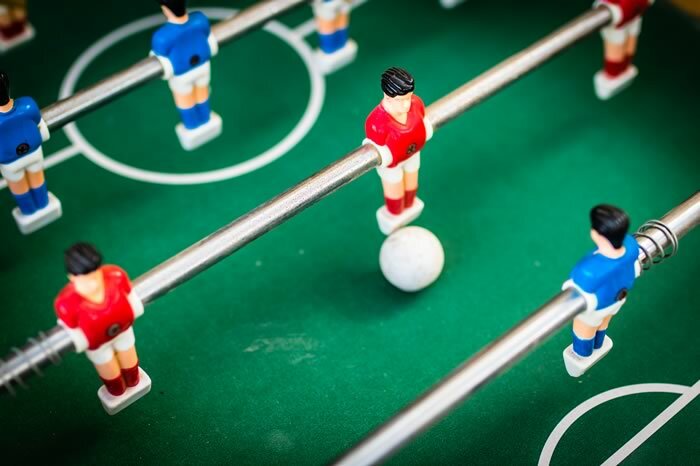 If it catches on at Golden Nugget, expect virtual sports to proliferate in legal U.S. markets. If you’ve ever watched a Super Bowl pregame show, you’ve seen virtual reality sports. Virtual sports in this sense is where the two conference champions are pitted against one another in a game of Madden, with a computer playing a simulated version of the game. Now, simply allow people to gamble on the outcome of these simulated games (these are not real teams or real players and therefore do not fall under the heading of sports betting) and you have Inspired’s virtual sports product. Inspired’s version of virtual sports combines two elements: the amazing visuals and game play of a top-tier video game and betting. What sports and betting options will be available? Inspired Gaming has a massive catalog of virtual sporting events to choose from (including darts, cricket, horse racing, and football), and any number of team and betting options. This gives the operator a chance to run as many simulated games as they please. Though Atlantic City itself is teetering on the edge of bankruptcy, the remaining casinos in the New Jersey city are faring better than in recent years. It’s a tumultuous time for Atlantic City, and with its casino industry on the decline in recent years, many people have put forth plans that would help the resilient seaside resort town reinvent itself. But is reinvention really needed? Or does Atlantic City simply need a little bit of tweaking? Some look upon the 2014 closure of four Atlantic City casinos – Atlantic Club, Revel, Showboat, and Trump Plaza – as a low point for the New Jersey casino industry. But others fear it could get even worse before it gets better, as they see even more contraction in the city’s future. It seemed like more contraction was a certainty back in late 2014, as Trump Taj Mahal was going through its own bankruptcy restructuring, threatening to shake Atlantic City to its very core. Along with thousands of lost jobs, and a loss of 70 percent of its tax base, with 25 percent of the city’s casino operators out of business, 2014 and 2015 saw the continued decline of gross gaming revenue in the Atlantic City casino market – a decline that dates back to 2007. To highlight just how far Atlantic City has fallen, in 2006 the Atlantic City casino industry generated over $5.2 billion in GGR, that number dipped to under $2.6 billion in 2015, more than a 50 percent decline. But is more shrinkage needed? Maybe not. Things are not all bad for the remaining Atlantic City casinos, as the most recent revenue reports released by the New Jersey Division of Gaming Enforcement attest. With fewer competitors, the eight remaining casinos have by and large seen their GGR increase, and the three casinos that saw revenue dip are all working through bankruptcies. Furthermore, in 2015 all eight casinos (even the struggling Trump Taj Mahal) posted operating profits, with seven of the eight casinos posting year-over-year gains on this front. This is a very good sign for their future viability. The eight remaining casinos generated a total of $547 million in profits, a 40 percent increase over the $390 million the same eight casinos generated in 2014. What’s next for Atlantic City? It’s unclear if, or for how long, the growth trends of the past two years will continue for the remaining casinos. With Atlantic City on the brink of bankruptcy, something needs to be done, and there are no shortage of proposals to help the municipality. Many of these proposals involve gambling expansion and/or reforms. Expanding casino gambling beyond Atlantic City. Licensing boutique casinos in Atlantic City proper. The reopening of Revel Casino. All of these measures would have some type of impact on the current operators. Adding casino gaming in North Jersey (something New Jersey residents will vote on this November) is meant to bolster Atlantic City and the Atlantic City casino industry, as a significant percentage of the revenue generated by the new casinos is earmarked for AC. But this plan also has the potential to further erode the Atlantic City market, with some analysts seeing it as the coup de grace for half of the remaining eight casinos in the city. Boutique casinos would certainly cannibalize the gaming revenue of current operators, drawing locals and tourists away from their larger – and more expensive to run – cousins. The reopening of Revel Casino, the newest and nicest (and most highly flawed) casino in the city, would also draw customers away from the current operators, and with its massive overhead, it’s unlikely Revel would be able to turn a profit. If it does manage to become profitable, it would do so by gobbling up a significant market share and likely lead to the end of the road for one or more other casinos. PokerStars launched a legal New Jersey online poker site this week, and it greatly benefitted from gains the industry has made in its 2 years of operation. More than two years since the coordinated launch of the New Jersey online gambling industry, PokerStars has finally joined its iGaming brethren and launched its online poker platform in the Garden State. What at first seems like an extreme disadvantage for the site, entering an already-established market two years after the fact, may very well turn out to be a blessing in disguise for the site, as PokerStars is avoiding all of the early issues that plagued the New Jersey market. Those were the words used by former bwin.party Director of Poker Jeffrey Haas when I spoke with him back in October of 2014 about – what was thought to be at the time – the imminent launch of PokerStars. It would actually be another year (nearly to the day) before the New Jersey Division of Gaming Enforcement approved PokerStars’ license, and a further six months before the site launched (which it did on March 16), but Haas’s words are just as true today as they were in early October of 2014. And PokerStars’ launch earlier this week confirmed Haas’s suspicions. The reputation of all of New Jersey’s online gaming sites took a hit due to the early problems (some self-inflicted and some unavoidable) the industry faced. Part of the problem was New Jersey’s aggressive nine month timeline from passage of its online gambling law to launch caused a slew of headaches. First, geolocation in New Jersey was extremely difficult in the early months of the industry. A conservative approach led to many false-negatives (as much as 5 percent) from the state’s massive border population. Geolocation also suffered because of its overall effectiveness (a good problem to have) and multi-layered approach, as players with weak wifi signals, or the wifi on their computers turned off were often greeted with messages that they could not be located and therefore could not log on to the state’s licensed online gambling sites. In the eyes of the geolocation system, these players were not located in New Jersey… even if they were just a few feet from the actual server. Second, when the industry launched credit card approvals were in the single digits, and with a lack of alternative funding options players found what should have been an extremely simple process of funding their accounts frustrating and in some cases near-impossible. Third, the bold timeline for launch, and the novelty of online gaming regulation, gave the DGE little opportunity to fully test and/or approve software features, so in many cases the first movers launched with bare-bones, stripped-down versions of their software. These early issues led many to believe nothing had changed with online poker, and left an extremely sour taste in many people’s mouths. And now, here comes PokerStars, sans the problems other sites had to deal with. Over the past two years, all of the above issues have been worked out, or at least greatly improved, so the disillusioned New Jersey residents who might give online gaming another whirl (after a frustrating first experience that had them swearing to never play at site x, y, or z again), PokerStars looks like the first company to enter the market with its act together. What a lot of these people won’t realize is that it was the resolution of the very issues they lamented back in late 2013 and early 2014 by the first movers in the market that allowed PokerStars to have such a successful launch two years later. It wasn’t just New Jersey’s early problems from its accelerated launch timetable that have allowed PokerStars to have a far more successful debut. All along the first mover advantage was likely overstated. This was perhaps the most evident in Nevada’s online poker industry, where unlike in New Jersey, where the industry had a coordinated launch, online poker sites in Nevada used a staggered launch. On April 30, 2013, Ultimate Poker became the first licensed online poker site in the United States when it went live in Nevada. Ultimate enjoyed a six-month monopoly in the Nevada market, but its rush to be first ended up being more of a burden than an advantage. Shortly after the launch of the more polished WSOP.com online poker site, Ultimate Poker’s first-mover advantage all but evaporated, and WSOP.com ascended to the top of Nevada’s small online poker industry. Before the calendar was flipped to 2015, Ultimate Poker was out of business. As long as PokerStars handles its business, it should have a lot of success in New Jersey compared to the first movers. The environment PokerStars is entering is far more conducive to success than what the likes of 888, WSOP.com, partypoker, and Borgata were faced with. PokerStars should be able to build on the improvements that have already been made, and hopefully for the companies that went through this trial by fire, lift the entire industry up.